Wire, anodized aluminum, orange copper, 2mm round, 12 gauge. Sold per pkg of 45 feet. Item Number: H20-1585WR Have a question about this item? Ultra-lightweight anodized aluminum wire is soft enough to manipulate without the use of tools. Color is applied five times throughout the manufacturing process to retain as much permanency as possible. 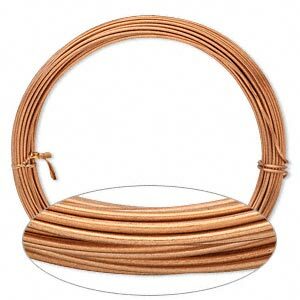 Tarnish-resistant wire can be used for wire-wrapped jewelry, craft applications and home décor. For optimal results, dip tool tips in Tool Magic® heavy-duty rubber coating to prevent scratching or marring wire. Color may vary from dye lot to dye lot. Due to the manufacturing process, wire may be in 2 sections. Wire gauges are approximate. 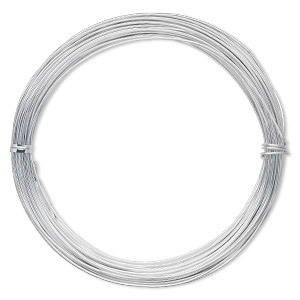 Wire, anodized aluminum, silver, 2mm round, 12 gauge. Sold per pkg of 45 feet. 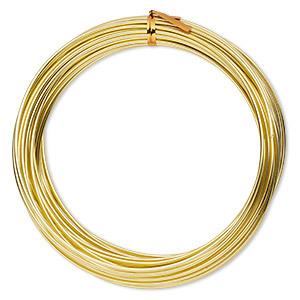 Wire, anodized aluminum, gold, 2mm round, 12 gauge. Sold per pkg of 45 feet. 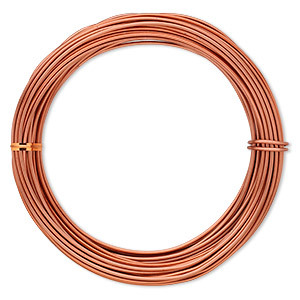 Wire, anodized aluminum, orange copper, 0.8mm round, 20 gauge. Sold per pkg of 45 feet. 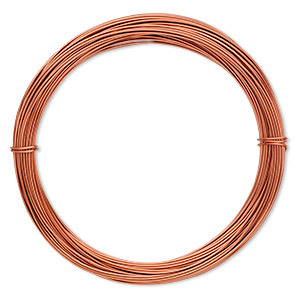 Wire, anodized aluminum, orange copper, 1.25mm round, 16 gauge. Sold per pkg of 45 feet. 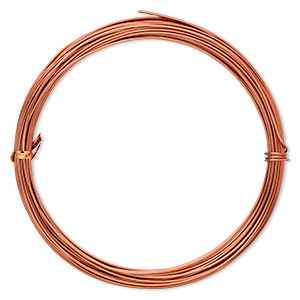 Wire, anodized aluminum, copper, 1.5mm round, 14 gauge. Sold per pkg of 45 feet. 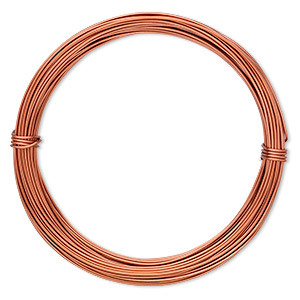 Wire, anodized aluminum, orange copper, 1mm round, 18 gauge. Sold per pkg of 45 feet. 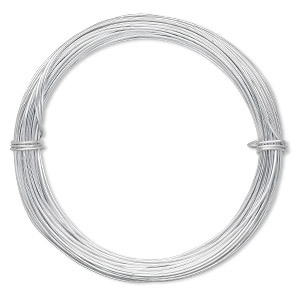 Wire, anodized aluminum, silver, 0.8mm round, 20 gauge. Sold per pkg of 45 feet. 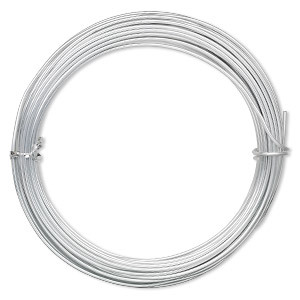 Wire, anodized aluminum, silver, 1.25mm round, 16 gauge. Sold per pkg of 45 feet. 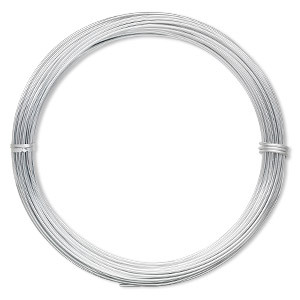 Wire, anodized aluminum, silver, 1mm round, 18 gauge. Sold per pkg of 45 feet. 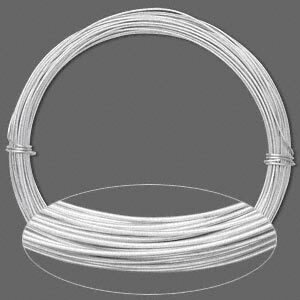 Wire, anodized aluminum, silver, 1.5mm round, 14 gauge. Sold per pkg of 45 feet.